This guide applies specifically to autosomal DNA tests with matching databases, and is from the perspective of testers living in Australia & New Zealand, although most of it is general to all testers. As a brief reminder, anyone can do an autosomal DNA test, and it can match you with relatives on all ancestral lines. It is most accurate for very close relatives and those in more recent generations, although it can also be very effective in connecting with more distant cousins. Autosomal DNA test results also include admixture/ethnicity estimates. The information shared below is from my personal experience as a genetic genealogist who has tested multiple family members at each of the companies listed below (at my own cost). The information is intended to help you select the most appropriate test for your circumstances and make a positive start on your DNA testing adventure! The fast growth and interest in genetic genealogy means that the products, features, prices and third-party tools change very rapidly, so I update this page constantly! This site includes some affiliate adverts/links which may result in me receiving a small credit if you click through and make a purchase, but will not affect the price you pay. 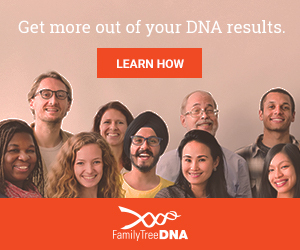 They all offer DNA test kits by mail and deliver the results online. If you are not yet familiar with genetic genealogy, you might be wondering why it is so incredibly popular? DNA testing can be amazingly powerful for family history research, and different testers may have different goals. As well as revealing ethnicity estimates - which are very popular in the general community, we can connect with cousins to share research or swap old family photos, we can check our existing research for accuracy (confirm or disprove relationships), check the accuracy of family stories, investigate (hopefully solve) long-standing research brick walls and family mysteries, discover branches of your tree not found through regular research, identify places of origin of our ancestors, determine if people who share the same surname are related, identify biological relatives (if unknown), or you may simply be curious to see what your DNA reveals. If you are adopted, donor-conceived, a foundling, a war baby, a child migrant, of unknown parentage for any reason, or the cost is not a consideration - and you are primarily testing to identify parents or close biological family, then it is recommended that you test with all the major companies to maximise your exposure and connections to biological relatives in all the international databases. If funds are limited, start by testing with AncestryDNA first then do the free transfers of your raw data file to Family Tree DNA to obtain your closest matches in the Family Finder database, and to MyHeritage DNA, to Living DNA and to GEDmatch. Depending on your initial matching success in these popular databases, you can then consider further testing or upgrades (eg. test at 23andMe; upgrade from a transfer to a full test; consider a Y-DNA test for males with unknown paternity; consider mtDNA if needed to confirm maternal relationships). When selecting a testing company, consider your research goals, proposed test types, who you want to match with and which database they might be more likely to be in. Test with your preferred company and then you can transfer your data to the free GEDmatch site once you get your results. If you test at one company and a relative tests at another company, you can both upload your raw data files from the different testing companies to GEDmatch Genesis to compare your results. If you can only afford one test, do that test then upload your DNA data file to GEDmatch, and also take advantage of any free transfers to get your DNA into other databases. Note that AncestryDNA and 23andMe do not accept transfers inwards, so you need to test directly with them to get your DNA into their databases. Ethnicity/Admixture estimates, usually from centuries ago, eg. % Irish, % Asian, % Italian, etc. Matches to other people who have tested at the same company and are related in recent generations. Close family matches are very accurate. Raw data file of your results. This is a text file containing about 700,000 rows of numbers and letters, and is about 6MB in size when zipped. Save a copy to your computer, and you can use it to upload to other testing companies and sites offering third party tools. AncestryDNA had close to 15 million people in their DNA database as at 28 Feb 2019, so it certainly has the largest autosomal DNA matching database. Background: the AncestryDNA test was only available in the US until 2015, resulting in a large proportion of testers from the USA. AncestryDNA launched in Australia, New Zealand, the United Kingdom, Ireland and Canada during 2015 and in more countries during 2016. The number of matches from Australia, New Zealand, UK and Ireland is increasing rapidly and results are becoming very productive for many testers. Family Tree DNA's autosomal DNA database contains around one million testers, and its Family Finder test has been popular for many years due to its international accessibility. Background: Family Finder has been available internationally since 2010, so many Australians, New Zealanders, British and Irish participants tested with Family Tree DNA's Family Finder long before AncestryDNA became available in 2015. FTDNA also has hundreds of thousands of Y-DNA and mtDNA customers who tested their Y-DNA and/or mtDNA up to 19 years ago, and whose stored samples could potentially be used to test their autosomal DNA if they haven't already (some of those testers are now deceased so can't be tested elsewhere). Family Tree DNA also accepts transfers inwards from AncestryDNA, 23andMe and MyHeritage DNA. Whichever testing route you take, it is worth getting your autosomal DNA into FTDNA's Family Finder database, either by testing with them directly or via their free transfer. 23andMe's database contained more than 10 million testers as at 3 Apr 2019. Many testers use 23andMe primarily for health reports, so not all will opt-in to the genealogy results (DNA Relatives), and additionally testers are required to share their DNA data to enable comparisons. Background: Intially US-focused, 23andMe launched in the UK and Canada in late 2014. They still sell their kits to Australia & NZ from the US, even though at one stage they expressed interest in selling DNA kits directly in Australia. No health reports are available to Australian & New Zealand customers. Their international shipping is expensive (US$39.99 per kit), so this has deterred many Australians & New Zealanders from testing with them. 23andMe is often considered to have the best ethnicity estimates, and the best tools for examining ethnicity results (including visually in a chromosome browser), but it can depend on the population group of interest. In January 2019, the number of regions increased from 150+ to over 1000, new detailed reports were added to 33 regions, and a new DNA Relatives Maps feature was added so you can view your DNA matches by their location. MyHeritage DNA's database has exceeded 2.5 million testers (as of Feb 2019) and is growing very quickly. New matches are appearing who haven't tested at any other companies. Background: MyHeritage DNA opened transfers inwards from other testing companies in mid-2016 (free), and started selling their own test kits from November 2016. They now also accept transfers inwards from 23andMe and Living DNA. MyHeritage reports having more than 102 million members, so their DNA database will continue to grow be very useful as they implement more tools and sharing features. In January 2018, MyHeritage DNA released a major update of their matching algorithm resulting in more accurate matches and ten times as many matches than were previously reported (also due to lowered thresholds). Autosomal DNA transfers inwards from other companies are free (there is an optional US$29 charge to access additional features/tools if desired). Transfers into MyHeritage DNA before 16 December 2018 were grandfathered in to receive these features for free (see details). Living DNA launched its innovative test late in 2016, and since then has been regularly phasing in new product features. It offers ancestral breakdowns into 80 worldwide regions, and is especially popular with people of British origins as it includes 21 British regions. Living DNA's new One Family One World project is developing reference databases for many more worldwide regions over the next few years, and is inviting new participants to upload their existing test data for free, and offering discounted tests for eligible testers from particular regions. Living DNA results also include mtDNA and Y-DNA haplogroup predictions. Living DNA's new customer DNA Matching feature, Family Networks, has recently been launched. Raw data can be downloaded for use with third party tools and for transfers. Living DNA has partnered with FindMyPast, so Living DNA kits can now be purchased from the FindMyPast website (and new integrations are expected to be forthcoming). FindMyPast DNA launched in November 2018, selling Living DNA kits under FindMyPast branding. In the coming months, the integration between Living DNA and FindMyPast will allow you to link your family tree and records to your DNA profile. At Rootstech 2019, FindMyPast announced it has acquired RootsFinder, and will use them to improve their family trees). AncestryDNA's best asset is their huge collection of member trees that can be linked to DNA accounts. AncestryDNA cleverly attempts to match DNA and family trees for the user, providing a range of connection 'hints' based on similarities in the trees of your DNA matches. Note that trees need to be public to access some of the hint features. You can link each DNA test to only one tree at a time, but it can be linked to any tree that you created or a tree that is shared with you. You can link multiple different testers to the one tree. Family Tree DNA offers a free family tree for each tester account. FTDNA's family tree system enables linking DNA tests of known or confirmed relatives/matches to your tree, which generates matches in the 'Paternal', 'Maternal' and 'Both' tabs on the Family Finder match results page, based on a sophisticated segment-matching algorithm. The more relatives who test and are linked in your tree (via easy drag and drop), the more (often unknown) matches will be sorted into paternal and maternal sides of your trees, which is useful if your parents are unavailable to test. 23andMe no longer includes an integrated family tree, but testers can include a link (URL) to their family tree hosted on another site, such as at Ancestry, FindMyPast, MyHeritage, FamilySearch, Wikitree, Geni or Rootsweb. MyHeritage offers free family trees for up to 250 people. Once you reach 250 people in your tree, you need to either delete some people or subscribe, or your tree will be locked and may become inaccessible until you subscribe. DNA tests are linked to the tester in a tree. The Review Match page shows a pedigree view for matches who have a public tree. Living DNA has partnered with FindMyPast, and plans to combine DNA technology and family history records in a way not seen before. You can now build your family tree in FindMyPast and order Living DNA kits through FindMyPast DNA. You will soon be able to link your FindMyPast family tree and records to your DNA profile. FindMyPast's acquisition of RootsFinder will mean even more improved trees or tree features! Family Tree DNA and 23andMe do not require subscriptions - the once-off purchase price of your test includes lifetime account access and upgrades of results. AncestryDNA does not require a subscription to purchase a DNA test or to view your results or contact matches, but an Ancestry subscription is very useful to view historical records to help build your family tree, to access DNA & family tree matching features and to view your matches' family trees. You can contact DNA matches through Ancestry's messaging system without a subscription. Ancestry offers Free 14-Day Trials. MyHeritage DNA does not require a subscription to purchase a DNA test or to view your results or contact matches, but a MyHeritage subscription is very useful to view Shared Matches, Shared Places, Shared Ethnicities and to view matches' full trees and access MyHeritage's record collections and Smart Matches. Members who transferred their DNA data in from other companies before 16 December 2018 should be able to view all the features without a subscription (if not, contact MyHeritage customer support). MyHeritage offers a Free 14-Day Trial of their Complete Plan. Living DNA does not require any subscription, but their partner FindMyPast offers subscriptions to access historical records to help you build your tree, to which your DNA will eventually be able to be linked. FindMyPast offers a Free 14-Day Trial. AncestryDNA, 23andMe, MyHeritage DNA, FTDNA's Family Finder, Living DNA and FindMyPast DNA are all autosomal DNA tests. All the testing companies provide ethnicity/admixture estimates as part of their results. Living DNA provides relative matching and familyethnicity/admixture results. Both 23andMe and Living DNA's 3-in-1 test provide haplogroup predictions in their results - Y-DNA (for males only) and mtDNA for all. FindMyPast DNA is an autosomal DNA test, with optional add-ons for deep ancestry (Y-DNA and mtDNA). Family Tree DNA sells detailed Y-DNA and mitochondrial DNA tests as well as their autosomal DNA test (ie. called Family Finder). Multiple test types can be administered in one account (eg. Family Finder, Y-DNA, mtDNA), and the Advanced Matches tool can be used to look for matches across the different test types. AncestryDNA's tools include the new ThruLinesTM (which visually shows you common ancestors who might connect you to your AncestryDNA matches), Shared Matches, and Migrations (previously called Genetic Communities). MyTreeTagsTM provides DNA tags to add to people in your Ancestry family tree - including DNA Match, DNA Connection, Common DNA Ancestor tags. New and Improved DNA Matches allows you to define your own 24 custom groups, colour code them and add your DNA matches to multiple groups. AncestryDNA does not provide tools to examine shared DNA segments - such as a chromosome browser. AncestryDNA customers can transfer their raw DNA data file to GEDmatch or other testing companies to use their segment analysis tools. FTDNA provides a range of tools including a 7-person chromosome browser, ICW and NICW (in-common-with and not-in-common-with) for all matches, a Matrix tool, a range of search options and filters, Advanced Matching ( to identify atDNA matches sharing the same Y-DNA or mtDNA, or in the same FTDNA project groups), and ability to download all matches and chromosome data to spreadsheets. The free transfer to FTDNA doesn't provide access to all features/tools, but they can be unlocked for US$19. 23andMe provides a range of tools, including a chromosome browser (that also shows ethnicity segments! ), Shared Matches, shared ethnicities, and a great range of search options and filters. Some tools require that matches agree to share their DNA information before you can see it. A new DNA Relatives Map feature was added in January 2019, showing DNA matches by their location (if they choose to share it). MyHeritage DNA provides a range of sort and search filters and options, and also shows Shared DNA Matches, shared surnames, shared ethnicities, and a chromosome browser capable of comparing up to 7 matches, which highlights triangulated segments, and with the ability to download the chromosome match data. The new Theory of Family Relativity feature exploits MyHeritage's millions of family trees to visually suggest how some of your DNA matches may connect to you. MyHeritage DNA's new AutoCluster feature produces a matrix showing which of your matches share DNA with each other, to help you identify genetic networks or clusters of matches belonging to the same ancestral lines. Living DNA raw data files can be downloaded. The autosomal data can be used in GEDmatch Genesis. Family Networks has been launched, new features will continue to be implemented over time, and new matches will appear as more people test, transfer, and opt in to Family Matching. Family Networks will eventually have tools such as a chromosome browser and custom tags for matches. All companies allow a copy of your raw DNA data file to be downloaded, for transfers to other companies and for use with third party tools. Family Tree DNA results display matches' real names and email addresses, enabling direct and efficient contact with your genetic matches via email. AncestryDNA testers can choose whether to display their usernames, initials or real names to their DNA matches. If a tester's kit is managed by someone else, only their initials will be displayed, along with the manager's username. No email addresses are visible, so messages can only be sent through Ancestry's messaging system. 23andMe testers can choose whether to display their real names or initials to their DNA matches. No email addresses are visible, so messages can only be sent through 23andMe's messaging system. MyHeritage testers can choose whether to display their real name or an alias to their DNA matches. No email addresses are visible, so messages can only be sent through MyHeritage's messaging system. All test kits are very easy and straight-forward to use. Family Tree DNA and MyHeritage DNA use a cotton-toothed swab to scrape cheek cells - very easy sample collection for any age or circumstances. As long as they are kept out of extreme conditions, these kits can have a long shelf-life (often years), but it is best to use them as soon as you can. Living DNA uses an easy cheek swab kit that contains no preservative liquid - a bit like a mascara, where you just snap the swab-on-a-stick back into the tube after testing. Living DNA requires their kits to be returned within 6 months. FindMyPast DNA uses Living DNA kits (see above). AncestryDNA and 23andMe use a saliva sample collection kit, which requires the tester to spit into a tube. Most people have no difficulty, but if you are intending to test an infant, an elderly person, or someone in poor health, be aware that they may find it difficult to produce enough saliva for a sample (dribble is no good, it must be saliva). Some medications can cause dryness of the mouth and make it very difficult for some people to produce saliva. To avoid wasting a saliva kit, see if elderly or infirm testers can spit into a small clean medicine cup first. Then if they can produce saliva you can simply decant it into the collection tube, but if they can't produce any saliva, you know to use a cheek swab test kit on them instead, and you can allocate your unused saliva test kit to someone else. 23andMe kits have an expiry date on the collection tube, and are required to be returned within about 6 months. If ever you receive a test kit that has been damaged or the preservative liquid has leaked or dried out, contact the testing company and they will send a replacement kit. Before use, store your DNA kits sensibly, ie. not in a hot car or near windows receiving direct sunlight. Note that DNA samples are stored at the company where you initially test, so if you initially test relatives at AncestryDNA, 23andMe or MyHeritage and later decide you want to test their mtDNA and/or Y-DNA at FTDNA, their DNA sample will not be available for FTDNA to use, so do not leave it too late to get samples to FTDNA for additional test types. Autosomal DNA test prices have dropped significantly in recent years, and now range from approximately A$129 to A$230, even less during sales. See the detailed pricing tables further below and check for DNA test sales and discounts. There is so much competition between DNA testing companies now that the initial test prices might carry less weight in your selection criteria. The prices of some tests require no further payments and include the ongoing use of all features and analysis tools. Other companies' tests include your DNA results but require membership subscriptions to use additional tools and features, so ensure you are aware of any additional or ongoing costs that you might not be expecting. If price is your main concern, and/or you want to test as many relatives as possible, or add on or combine different test types, customers in Australia & NZ will find that FTDNA's Family Finder is usually the cheapest - but you can choose whichever test is cheapest at the time. If value is more important, ie. getting your DNA into as many databases as possible for the least possible cost, then I would recommend first testing at AncestryDNA and then transfer your DNA data into Family Tree DNA, MyHeritage DNA and Living DNA. If you are not interested in genealogy or ethnicity/admixture, but simply want to test two people to determine if and how they are related (eg. parent-child; sibling/half-sibling), then two autosomal DNA tests is an economical way to get an accurate answer. You can use any of the major testing companies that have a matching database. If there's a chance the result will be negative and you want to keep searching for your biological relatives, I recommend testing at AncestryDNA so that your DNA search starts out in the biggest matching database. MyHeritage DNA has remained at a reduced price most of the time since it launched. Consider that you may require a membership subscription to view more match information (eg. trees of your DNA matches, shared matches, shared ethnicities, shared places). MyHeritage regularly offers reduced or free shipping for multiple kits in one order. Transfers inwards (uploads) to MyHeritage DNA from other testing companies are free, but there is a charge to unlock some of the additional features (eg. chromosome browser). AncestryDNA's price in Australia is now very competitive, but consider getting a subscription to exploit the best features (you can subscribe monthly or just occasionally). If you have unknown parentage and can only afford one test, then test first with AncestryDNA, then do the free transfers to Family Tree DNA, MyHeritage DNA, Living DNA and GEDmatch. Living DNA is excellent value for its unique high-definition British regional breakdowns that you can't get elsewhere, and it also provides Y-DNA and/or mtDNA haplogroup predictions. It's exciting customer matching feature has launched and new matches will appear now as more testers and transferors opt in to Family Networks. Ancestral breakdowns will be updated automatically as new reference population databases are developed as part of their One Family One World project. The test is a once-off cost that does not require a subscription. Living DNA kits are also sold through their partner FindMyPast, although the Y-DNA and mtDNA haplogroup results are an optional extra. FindMyPast DNA is a cheaper version of the Living DNA test, including family matching, but not deep ancestry (Y-DNA and mtDNA are optional extras). 23andMe has has reduced its international price, but shipping is expensive and GST is now added, making it the most expensive test for Australians and New Zealanders. For customers in the USA, and now the UK, Canada and Europe, 23andMe now offers an Ancestry-only product (with no health reports) for a cheaper price than their combined Ancestry & Health test. 23andMe uses international couriers for shipping. 23andMe kits are also sold in selected pharmacies in the US and UK, and also on Amazon US (but they will not ship them to Australia/NZ). Some companies offer shipping discounts on additional kits in the same order to the same address. The testing companies occasionally have sales. Family Tree DNA sends their kits via regular post, so your kits will arrive in your letterbox with your regular mail. If you order multiple kits around the same time or in one order, they usually arrive together in one larger plastic envelope. Kits purchased from FTDNA usually take around 2 weeks to arrive at Australian addresses, although they can take a few weeks longer after big sales. FTDNA normally charges US$12.95 per kit for shipping, but it is occasionally on sale for US$9.95. A small, pre-addressed padded envelope is supplied in each kit for you to return your samples to Houston, Texas USA. You can post your kit back to the USA as a letter for around A$3. You may be required to complete and affix a small customs sticker to the return envelope. When filling it out, described the contents as 'Genealogy Kit', and don't forget to sign it. Kits sent back to FTDNA usually arrive in a couple of weeks, but when they are busy (eg. after big sales), delays may occur before the kits are checked-in on their system. You can check your Order Status in your online account at any time after purchasing. AncestryDNA sends their kits via Australia Post Parcel Post, so your kit will arrive in an Australia Post satchel. Sometimes a signature is required upon delivery, other times they leave it in your letterbox or other safe place if you are not at home. AncestryDNA charges A$29.99 shipping per kit, or if you purchase two or more kits in same order to the same address, additional kits after the first one are charged at A$10 shipping each. Your parcel will include one pre-paid return-addressed Parcel Post satchel, so once you've done the test, put your sample box in the satchel and simply drop it into any red Australia Post box in Australia. If you order multiple kits in one order with reduced shipping, you will only receive one return-paid satchel, so if you can't return them all at the same time, you will need to pay postage to return the additional kits. To return additional kits separately, you can purchase an Australia Post Parcel Post 500g satchel for $8.50, or use your own packaging or the sample box itself and pay by size and weight. Although AncestryDNA kits come from the USA, they are sent out from Minchinbury, NSW, so they will usually arrive within a week (Ancestry says to allow 7-14 days). The return parcel is sent back to NSW, from where it is sent to the USA for processing. If you record the tracking number off the label before you post it, you can monitor the tracking back to NSW on the Australia Post website. Depending on how busy they are, it can take AncestryDNA a few weeks to acknowledge receipt of your returned kit. As long as you follow the instructions and Activate your kit before posting it, you can monitor your order progress online from the DNA tab in your Ancestry account. 23andMe ships their kits to Australia via economy international courier, delivered locally by Australia Post (requiring a signature on delivery). Standard shipping to Australia for one kit, taking up to 20 business days, costs US$39.99 (approx A$55); Express shipping to Australia for one kit, taking up to 12 business days, costs US$58.99 (approx A$80); 23andMe offers 20% off additional kits in the same order to the same address but the higher shipping charges negate most of the discount; Shipping for two kits in the same order to the same address costs US$102.99 (approx A$140); Shipping for three kits in the same order to the same address costs US$146.99 (approx A$200). A return-paid courier satchel is included, requiring a call to the courier to collect it, or you can drop-off it off at a local affiliated depot (depending on the courier's services in your area). If you purchase multiple kits and want to return them at different times or from different locations, it may be wise to order the kits separately so you receive a return-paid courier satchel with each kit. MyHeritage DNA charges A$22.99 per kit for Standard shipping (8-12 business days) or A$48.99 per kit for Expedited shipping (4-5 business days). Note that the price goes up or down by a dollar or so with exchange rate fluctuations. There is a small reduction in shipping if multiple kits are added to the same order (eg. $2 off for two kits, or $3 off per kit for three or more kits). Occasional sales offer free shipping for multiple kit purchases, or if you leave a kit in your cart, you may receive an email offer for free shipping to complete the order. MyHeritage DNA kit boxes are delivered in a plastic satchel. A small, pre-addressed padded envelope is supplied in each kit for you to return your samples to Houston, Texas, USA. You can post your kit back to the USA as a letter for A$2.95. You may be required to complete and affix a small customs sticker to the return envelope. When filling it out, described the contents as 'Genealogy Kit', and don't forget to sign it. Kits sent back to MyHeritage DNA usually take about two weeks, but may take longer after sales, and delays may occur before the kits are checked-in on their system. You can check your kit's status in your online account at any time after purchasing, by clicking on the DNA tab in your MyHeritage account, then click on Manage DNA Kits. Living DNA offers two levels of shipping to Australia - standard shipping for A$14.95, which takes a few weeks, and Express Shipping for A$69.95, which takes just a few days. A Reply-Paid International satchel is included in each kit to return your sample to Denmark. After placing your sample in the satchel as per the instructions and sealing it, sign the customs sticker on the front of the return satchel, and simply drop your satchel into any red post box in Australia. There is no need to go to a post office - and if you do the employees may insist on charging you unnecessarily - although you may choose to pay for an express service to speed up the return shipping. By dropping the satchel into a red Australia Post box, it should arrive back at the lab in Denmark in about three or four weeks. Living DNA offers an optional extra printed personalised ancestry book outlining your tester's ancestry. The book can be ordered at the time of purchase of the DNA test, or it can be ordered later on by contacting Living DNA's Help Centre. Allow 4-6 weeks after your results are ready before the book is ready for despatch. The cost of the personalised book depends on your geographic region (£39, €59, US$69, C$79, A$79, NZ$79), and it includes free standard shipping. A great gift idea, but if you are ordering it for a special occasion, allow plenty of extra time for the testing, results, book production and shipping. 23andMe customers can create a hardcover book called The Story of Your DNA, which includes your Ancestry Composition, your Neanderthal ancestry, the traits you share with your DNA Relatives, and details of what your DNA says about your roots across the globe. 23andMe customers can order this keepsake for themselves, or in the near future they will be able to order a gift for a friend or family member with whom they are sharing their DNA results. MyHeritage customers in the US (US only) can purchase a Family Discovery Kit for US$119. The gift set includes a MyHeritage DNA kit, 3 months of FREE access to MyHeritage.com, a Project Life photo album, customized full page inserts, Project Life decorative cards, a keepsake box, and scented candles. MyHeritage's blog post about their Family Discovery Kit. Regardless of which major testing company you test your autosomal DNA at, once you get your results you can download a copy of your raw DNA data file from your testing company account, and upload it to a free volunteer-run site called Gedmatch Genesis, where you can compare your DNA to testers from other companies who have also uploaded their data to GEDmatch Genesis. It is a great way to find new matches and to use GEDmatch's range of analysis tools and reports. GEDmatch recently migrated all its Classic (original) kits over to the new GEDmatch Genesis, which allows for comparison of kits tested on different chip versions. GEDmatch Classis is closed to new uploads, so you will need to upload new kits to Genesis. Other third party tools, websites, and software include: DNAGedcom, DNAGedcom Client, Genome Mate Pro, Double Match Triangulator, DNA Painter, What are the odds? (WATO), Visual Networking, Genetic Affairs, RootsFinder, Genetic.Family, and many more. Testers at Family Tree DNA can join a large range of DNA projects, such as surname, geographical, haplogroup or dual/multi projects, and can even apply for private projects. Many surname projects now accept autosomal DNA too. FTDNA hosts over 9500 DNA Projects, including: Australian Citizens; Australian Settlers; Australian Convicts; New Zealand DNA; Aboriginal Tribes Australia; British Isles by County; Ireland Y-DNA; Ireland mtDNA; Kilkenny Surnames; Cork DNA; Fathers, Sons & Brothers Y-DNA; Mothers, Daughters & Sisters mtDNA; WW1 Missing-in-Action; Romany Gypsy DNA and many more. AncestryDNA has a Migrations/Genetic Communities feature to help identify which of your matches come from the same regions, and its DNA Circles may also provide opportunities for relatives to contact each other and collaborate with research on particular branches of their tree. Facebook groups - many surname projects and/or regional DNA projects have dedicated Facebook groups for those projects, so search for your surname/location + DNA in the Facebook search box to see if there are any you can join. If you are only interested in discovering your ethnic makeup but not your genealogy, all companies include ethnic/admixture predictions with their autosomal DNA tests. Be aware that you will probably get different results from each company, as they use different reference population samples, different regional definitions/cluster boundaries, different time periods (anywhere from 200 to 2000 years ago), and different algorithms. AncestryDNA displays its ethnicity estimate and Migrations/Genetic Communities in a combined DNA Story feature. These migration regions are predicted to be from 'hundreds of years ago', whereas their ethnicity estimates could be from much further back (see detailed List of Regions). Many testers prefer 23andMe for their detailed ethnicity predictions, which are provided at three levels: standard, conservative and speculative, and they display ethnicity segment information in a chromosome browser view. 23andMe provides a timeline showing when the predicted ethnicities were likely to have been introduced into your ancestry. Your 23andMe ethnicity segment data can be downloaded and uploaded to DNA Painter. Testers with British ancestry will be excited by Living DNA's test that provides regional breakdowns into 80 worldwide regions including 21 British regions. More regional breakdowns are currently being developed, including for Ireland, Germany and later Scotland, and existing test results will be updated automatically as these are implemented. Living DNA also provides a simulation showing your regional changes over time, and now also provide family ancestry map results at three different levels of certainty: complete, standard and cautious. View my Living DNA results. The testing companies are regularly reviewing, updating and evolving their products, reference databases, regions and algorithms over time, so any results you get now will be automatically updated later. Regardless of which company you choose, you can also upload your raw data to GEDmatch to experiment with their free Admixture tools, and compare your data with ancient DNA sample kits. For more information, refer to ISOGG's Admixture Analyses. Family Tree DNA's Autosomal Transfer Program accepts transfers inwards of autosomal DNA raw data results files from AncestryDNA, 23andMe (V3, V4) and MyHeritage DNA. Note that you are not removing or deleting anything from your existing testing company, you are simply downloading a copy of your raw data results file from your testing company account and uploading it to FTDNA. You can transfer to FTDNA's Family Finder for free to see just your closest matches and to access the In Common With (ICW), Not In Common With (NICW) and Matrix tools. For US$19 you can unlock the full features of Family Finder - including the chromosome browser, your myOrigins ethnicity estimate, ancientOrigins, and advanced family matching (paternal, maternal tab matches). FTDNA's Autosomal Transfer Program will soon be accepting transfers from the more recent Genographic Project tests too. For details about matches included in the free transfers of different test versions, refer to Should you upgrade your Family Finder transfer? MyHeritage DNA accepts free transfers inwards of raw DNA data files from AncestryDNA, Family Tree DNA and 23andMe (including V5 kits). Transfers to MyHeritage DNA before 16 December 2018 retain access to additional features for free (eg. chromosome browser, shared matches, ethnicity). From 16 December 2018, new testers or free transfers will receive matches for free. Access to additional features is optional - free for subscribers or US$29 for non-subscribers to unlock the features (see details). Living DNA is accepting free transfers inwards from other testing companies as part of its One Family One World project and through FindMyPast. Living DNA raw data files can be downloaded, and can be uploaded to Gedmatch Genesis to compare with others in that database (note that all GEDmatch kits, both origin and Genesis, will soon be merged into one large database). At Family Tree DNA, each person who provides a DNA sample has a separate account - with their own unique kit number and password for logging in, and the different test types for that person are managed from within that one account. If you administer kits for many relatives, you either need to login to each kit separately as required, or you can apply for a personal project to administer all your kits from one login. If you share administration with another relative, they can either login to the accounts directly, or you could nominate them as a co-administrator of your project so they get their own project account login. At AncestryDNA, each new tester is required to activate their own DNA test in their own Ancestry account. Up until 18 July 2017, multiple tests could be activated and administered in the one Ancestry account, and these will remain accessible to the administrator. If you order tests for others, regardless of who pays for them, the tester will be the Owner of their DNA and will be requested to activate their DNA kit in their own Ancestry account. If they don't already have an Ancestry account, they will be required to register a new account. After activation in their own account, the tester can then choose to invite you to be a Viewer or Collaborator, and subsequently upgrade you to a Manager if desired. 23andMe allows for administration of multiple DNA tests from within one account login, but kits can't be accessed by more than one administrator. MyHeritage DNA allows for administration of multiple DNA tests from within one account login, but kits can't be accessed by more than one administrator. Living DNA allows for administration of multiple DNA tests from within one account login as long as the administrator has legal rights to manage a kit for another person; otherwise kits for other relatives must be activated under a new account. Kits in one account cannot be accessed by more than one administrator. Family Tree DNA accounts are created and linked to the person testing during purchase, so no further activation is required. Note that you can still change the tester’s details in their online account after purchase, which may be required if you use the test on a different person. You can also order spare test kits in your own name and later change the account name and details to those of the tester. Changes will be reflected overnight. You can't change the tester's gender in your online account, but you can select it on the green authorisation form that you send back with the sample, or you can contact FTDNA who will change the gender for you. AncestryDNA, 23andMe, MyHeritage DNA and Living DNA kits all require activation at the time of testing, to provide a link between the sample and the person who has tested, via their online account. The samples will not be processed in the lab unless they have been activated, and may even be discarded if not activated, as the lab cannot otherwise know who provided the sample. If you accidentally post your sample without activating your test first, you can still activate it later if you kept your box and instructions, as the activation code is normally printed elsewhere in your kit (eg. Ancestry prints the Activation code on the back of their instruction leaflet; the other companies usually print the TestId or activation code on the test kit box, instruction sheet, or on stickers on the swab packets). At Family Tree DNA, you can share a tester's kit number and password with the tester and administrator, and perhaps an additional family member for backup as well (in case a tester or administrator passes away). You can also add multiple email addresses to FTDNA accounts, as either Primary or Secondary email addresses, or both (Primary emails receive all notifications from FTDNA, including new matches; Secondary emails are a backup). Any number of relatives can receive email notifications from FTDNA, and some FTDNA results and tree pages can be shared by clicking on the Share icon. If you manage FTDNA kits for multiple relatives, you can apply for your own private project from which you can manage all the kits from the one account/login. AncestryDNA results can be shared by administrators to testers and other friends, relatives or helpers as required. From the DNA Settings page, usernames or email addresses can be entered to send an invitation to anyone to share DNA results, as a Viewer, Collaborator or Manager. An Ancestry account is required to view shared results (registration is free), and matches trees will not be visible without a subscription. You can also share your AncestryDNA ethnicity results to your friends on social media. 23andMe enables sharing of genomes by sending an invitation to other 23andMe account holders, but you can't view their matches, only any shared DNA segments in the chromosome browser view. You can register and manage kits for multiple relatives in the one account if you have their permission/legal authority. MyHeritage DNA includes sharing buttons to share ethnicity results on Twitter or Facebook, but does not yet offer any match or account sharing functionality. Living DNA includes a simple sharing widget in each tester's account, so you can drag and drop the desired results to share with family and friends via Twitter, Facebook or a URL. View my Living DNA results produced by the sharing widget (note that results for males also include their Y-DNA haplogroup). Family Tree DNA allows you to turn on or turn off the visibility of your matches (Account Settings > Match & Email Settings). This means that you won't be able to see any people who share DNA with you, and they won't be able to see you in their match list. You can select different settings for each of your test types (eg. Family Finder, Y-DNA, mtDNA). Family Tree DNA's terms of service may allow law enforcement to upload DNA kits from samples taken from scenes of violent crimes. AncestryDNA allows you to opt in or opt out of seeing your DNA matches and being listed as a match to others (DNA Settings > Privacy > DNA Matches). If you opt out, you won't see who you match, and matches will not see you in their match list. 23andMe allows you to opt in or opt out of DNA Relatives (Settings > Privacy & Sharing > DNA Relatives). If you opt out, you won't see who you match, and your matches will not see you in their match list. MyHeritage DNA allows you to enable or disable DNA Matching (Site Settings > My Privacy > DNA Preferences). Living DNA requires you to Opt In to Family Networks to participate in DNA matching with other customers. GEDmatch Genesis terms of service allow DNA samples to be uploaded from a range of sources, including crime scene samples from law enforcement. Prices shown in red are current sale prices. Note: Purchases from Australia are subject to 10% GST - either included in the advertised price or added on in the cart. Note: Purchases from NZ may be subject to 15% GST - either included in the advertised price or added on in the cart. AncestryDNA kit prices and shipping will vary by country. Before ordering, don't forget to check for current DNA test sales and discounts. History: Since 2000; the first genealogy DNA testing company for consumers. Database: International. Also contains some kits transferred from other testing companies. Family Tree: Yes, one myFamilyTree per tester's account; Upload a Gedcom or build/edit your tree manually; Link your known or confirmed DNA-tested relatives to your trees; Trees can be Private or Public; Global public search (box at top left of FTDNA web pages). Test types: Autosomal DNA (Family Finder), Y-DNA (37, 67, 111) and mitochondrial DNA (mtPlus, FMS), plus more specialty tests (eg. SNPs, Big Y). Ethnic makeup: Yes, included in Family Finder (myOrigins). mtDNA tests: HVR1 & HVR2 US$79; mt Full Sequence US$199. Shipping: US$12.95 to Australia (approx A$17); A$2.95 to post back to US. Postage takes approximately 2-3 weeks in each direction. Storage: Stores sample for 25 years; Existing samples used for test upgrades. Transfers: FTDNA's Autosomal Transfer Program accepts raw data from 23andMe, AncestryDNA, MyHeritageDNA and National Geographic. Specials: Yes, several times per year. Check DNA Test Sales & Discounts. Tools: Yes, Chromosome Browser, Matrix, In-Common-With; Name & Ancestral Surname/Location searches; Parental Phasing. Downloads: One-click download of matches to Excel or CSV format; Raw data downloadable for use with external tools, including GEDmatch. Match details: Testers' name, email address, date matched, haplogroups, tests undertaken (optional: ancestral surnames, family tree, most distant known ancestors). Autosomal match thresholds: Minimum 7.69 cM & 500 SNPs for the largest segment; If the largest segment is less than 9 cM, a 20 cM total is required (including shorter segments) to be shown as a match. Health Reports: No, but you can upload your raw data to Promethease.com for $US5. Projects: Over 9000 FTDNA projects (surnames, geographical, haplogroup, dual geographical - see summary below). Privacy: Family Tree DNA's Terms of Service. History: Since 2006; originally health reporting, expanded into genealogy. Limited health reporting for US, Canada & UK residents; No health reporting for Australia or New Zealand. Users must opt-in to genealogy matching (DNA Relatives). Test types: Autosomal DNA (includes low level Y-DNA and mtDNA haplogroup predictions - useful for ancient population migratory groups, but not relevant to genealogical timeframes or people-matching). US$99 in USA; £79 in UK; C$129 in Canada; €99 in Europe. Shipping for three kits in the same order to the same address: US$146.99 (approx A$200). Sample: Saliva sample - infants, the elderly or infirm may find it difficult to produce saliva (tips & tricks). Storage: Testers have the option of biobanking or discarding their sample (during kit activation, the storage option is 'from 1 to 10 years'). Transfers: Does not accept transfers inwards; 23andMe data from Nov 2010 can be transferred into FTDNA. Specials: Rarely for Australia & NZ, but check DNA Test Sales & Discounts just in case! Tools: Yes, a chromosome browser, but only usable on matches who have accepted your invitation to share genomes or those who have opted in to Open Sharing. Downloads: Raw data downloadable for use with external tools, including GEDmatch. Match details: Match name (if their profile is set to public); Many matches are anonymous so no details are visible, and some cannot be contacted; No email addresses - you must invite matches to share using 23andMe's messaging system; (Optional: ancestral surnames; family tree). Autosomal match thresholds: Minimum 7 cM & 700 SNPs for the largest segment; 5 cM & 700 SNPs for additional segments (and for people you are sharing with). Health Reports: Australia & New Zealand: No; US (US$199), Canada, UK & Ireland: Yes. You can upload your raw data to Promethease.com for US$5. Database: International; Huge number of member trees. Family Tree: Yes, you can link your DNA results (and those of your relatives) to your Ancestry Family Tree. Test types: Autosomal DNA only. C$149 + C$20 in Canada; In Europe, prices vary by country. Shipping: Shipping for Australia & New Zealand is AU$29.99 per kit (includes a return-paid satchel); $10 per kit for additional kits in the same order to the same address (only one return-paid satchel is included; you can return multiple kits in the same satchel, or you can post kits back separately if needed; $8.50 for a 500g Parcel Post satchel). If the voucher box is active/visible in the checkout, use code FREESHIPDNA to reduce the shipping by $9.95. Sample: Saliva sample - infants, the elderly or infirm may find it difficult to produce saliva. Storage: No storage options, although Terms of Service mention they keep your sample. Transfers: Does not accept transfers from other companies; You can transfer AncestryDNA raw data into FTDNA. Tools: Shared Ancestor Hints (tree matching), DNA Circles, New Ancestor Discoveries. No analysis tools provided. The Ancestry trees of DNA matches are compared and suggestions are made based on similarities in trees, surnames and locations. Downloads: Raw data downloadable for use with external tools, GEDmatch, and transfer to FTDNA. Match details: Admin's username (no email address); total shared cMs and number of segments; communication via Ancestry's messaging system. Autosomal match thresholds: 5 cMs for the first segment. Health Reports: No, but you can upload your raw data to Promethease.com for US$5. Subscription: An Ancestry subscription is required to access some features. You can purchase DNA tests, contact your matches and access your raw data without a subscription, but a subscription is required to view your matches' trees, to see shared surnames & birth locations, and to see Shared Ancestor Hints, DNA Circles and New Ancestor Discoveries (NADs). The cheapest Ancestry AU subscription is $179.99 per year or $21.99 per month. There is no reduced-price DNA Insights subscription for Australia. See more information on AncestryDNA with and without an Ancestry subscription. After activating their kits, friends and relatives can add you as a Guest or Editor of their DNA results, so you can access their results and assist them if needed. Ancestry Gift Subscriptions are available if you'd like to purchase one for family or friends, and Ancestry Free Trials are also available (if you don't wish to continue after the trial ends, remember to cancel it to avoid being billed automatically). Privacy: AncestryDNA's Terms & Conditions. Also read AncestryDNA's Consent Agreement in relation to optional participation in health & research projects. Review your options in regards to the Consent Agreement, and see AncestryDNA's FAQ. Database: International. Over 93 million member trees so will grow quickly. Contains many kits transferred from other testing companies. €85 + 10% VAT + €14 shipping in Europe. Shipping: A$22.99 for Standard shipping (8-12 business days) per kit. A$48.99 for Expedited shipping (4-5 business days) per kit. Subscription: A subscription is not required to purchase a DNA test or view your matches. However, a subscription may be required to view details of DNA matches and their trees. Downloads: Yes, can download raw data file and chromosome match data. Match details: Match’s name, profile image, age group, country of residence, shared DNA (% and cMs), number of shared segments, largest segment, possible relationships, shared matches, ethnicity, pedigree chart, and link to a MyHeritage tree if available. Family Tree: No, but recently partnered with FindMyPast, so integrations are likely to be forthcoming. Test types: 3-in-1 test: Autosomal DNA, plus Y-DNA/Fatherline & mtDNA/Motherline (selected SNPs tested). Ethnic makeup: Yes, 80 worldwide regions, including 21 British regions, with more under development including Irish, German and Scottish regions; results will be updated automatically. US$99 in USA; C$159 in Canada; €99 in Europe (plus shipping). A$69.95 Premium Delivery to Australia (5-7 working days). A Reply-Paid International satchel is included to return your sample to Denmark. Downloads: Raw data can be downloaded. Family Tree: Yes, and future integrations with DNA results. Test types: FindMyPast DNA is an autosomal DNA test; Y-DNA and mtDNA are optional, and can be added in the cart: A$39.95 extra for the Deep Ancestry Upgrade. US$89 in USA; C$99 in Canada; €89 in Europe; plus shipping. Shipping: A$14.95; NZ$14.95; £9.95; US$9.95; C$14.95; €12.95. So, which company do I choose? Consider all the features, pros and cons above, and your goals, and see what is most important to you. If you are just venturing into genetic genealogy for the first time and after reading all of the above you still don't really know what to do or where to start, or you are just curious about what your DNA might reveal, simply start by ordering either an AncestryDNA kit, a Family Finder kit or a MyHeritage DNA kit, and see where it takes you and who it matches you with. If you have British ancestry and you are more interested in a detailed breakdown of where you came from in the last couple of hundred years, rather than matching with other people, start with a Living DNA test - their family matching has just been launched. Regardless of where you test, you will be embarking on an exciting adventure in a strange new world. Many keen genealogists test themselves at all available testing companies - for interest, experience and exposure to all databases. Many people only test at one company, so to make sure you're not missing a great match, you will need to be the proactive relative and get your DNA into all the databases. Ideally you will get more matches in the biggest databases (although not necessarily closer matches, depending on your own background and where your relatives have tested), but now that transfer options and third party tools are available and more are certain to emerge, test at the company that suits your needs and goals initially, and transfer your data to make the most of additional databases and utilities. As you learn more, you may want to try other test types, other test companies, and test additional family members. The genetic genealogy industry is moving at a very fast pace, so I update this page often! Read blogs and beginners' links, buy or borrow a book on genetic genealogy, read some DNA success stories, consider joining some online support groups or a local DNA Interest Group to learn more, simply observe, or ask questions. If your local Family History Society doesn't have a DNA Interest Group, encourage and help them to establish one. I would like to have testing done but very confused on who to go with. Money is a big issue too. I have a friend who went with 23 and me, we think we are related somehow. Do i need to go with the same company as her? Family tree dna seems to be the cheapest but would they match us if we are related? You do not need to test at the same company as your friend. There is a free DNA comparison site called GEDMatch (https://www.gedmatch.com/). You can download results from any of the main providers and upload them to GEDMatch to compare matches and see if the two of you share DNA. Alternatively, if you test with MyHeritage your friend can transfer her results from 23andMe to MyHeritage so you can compare your results there. Depending on when your friend tested at 23andME she may be able to transfer here results to FamilyTreeDNA. Details about which sites accept which transfers are in the blog. Thank you for the detailed report. Do you know if 23andMe can provide a health report to Australian Residence? Or if not, how can someone in Australia (me) get the complete DNA results, Ancestry and Health, not necessary with 23andMe. 23andMe health reports are not available in Australia. DNA raw data from the main test providers can be uploaded to a site called Promethease (https://promethease.com/) which will provide a report comparing your DNA genotypes to published scientific findings for US$5. This has been the best answers I have ever gotten. I don’t want a company,or third party company to sell my DNA. That’s a concern of mine. I also don’t want pharmaceutical companies to use it either. This is great read. You post is informative indeed the details you have provided above in this post about the best ancestry DNA testing companies is really very helpful for people those who are looking to find-out lot of things about their ancestors and existence. You are doing really awesome work by sharing this insightful information on ancestry and DNA service providers. Keep up the great work through your blog. With regards. I'm pleased that you found the information very useful! Probably one of the most thorough, well researched websites (On any comparable subject) I have ever seen. Incredible resource - My sincere thanks.